The West African nation of Mauritania has tens of thousands of citizens trapped chattel slavery, with darker-skinned Mauritanians being treated as the property of their lighter-skinned Arab and Berber countrymen. It is for this reason that undocumented black Mauritanians were rarely deported from the United States in the past — sending them back would have meant sending them into modern slavery. However, Immigration and Customs Enforcement (ICE) has deported dozens of Mauritanians under the Trump administration. Many of these deportees had lived in the United States for years, during which they were only required to check in with ICE periodically. The deportees in question are black Mauritanians, who are ethnically distinct, and speak a different language from the majority Arab and Berber tribes that form the country’s majority and its slaveholding merchant class. They have suffered brutal discrimination as well as enslavement for decades. More recently, the government stripped them of citizenship, meaning that black Mauritanians living overseas, including in the United States, are stateless. Mauritania doesn’t want them, and many of them left under threat of violence from the authorities. Heedless of that, and the grim fate that awaits them if they return, ICE is arresting and deporting them anyway. That is unconscionable. After deporting just 18 Mauritanians in the two years ending in October 2017, ICE has removed 79 since then; 33 of them had been convicted of a criminal offense. Another 41 are in ICE detention, according to the agency. 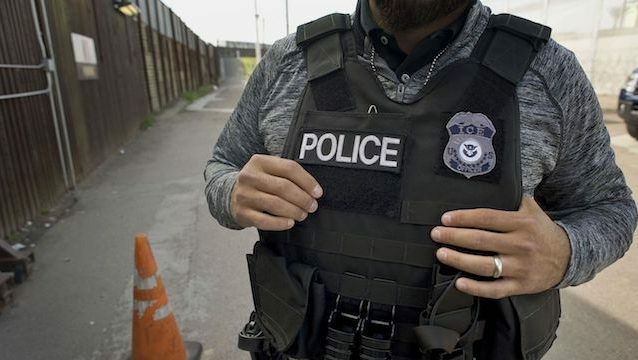 ICE’s arrests and deportations are facilitated by the Trump administration’s pressure on the Mauritanian government to authorize travel documents to receive deported black Mauritanians. The move sent a chill through the United States’ largest community of Mauritanians in Columbus, Ohio. Between 40,000 and 90,000 people are believed to be held in Mauritanian households in a hereditary slavery system, passed from generation to generation. Anti-slavery activists in the country, including Biram Dah Abeid, have regularly been harassed and arrested by the authorities. Hasta cuando van a considerar a sus propios hermanos como enemigos,por qué tanto egoísmo y tanta maldad? Recuerden que todo vuelve y en otros tiempos pueden ser ustedes los que pidan clemencia. Disgusted. America is reeling backwards and sweeping everyone but the mega rich into the gutters of the world. America has lost its intended soul. Orange is the new disaster disease destroying democracy and all sentient beings. Returning these refugees is no different than it was to return escaped slaves in antebellum times to the American South. It is pure evil. Abolish ICE. Thanks Trump to put Americans first and everyone else after, especially when it’s not Americans’ fault, as in the case of black Mauritanians being enslaved by light skinned ones.